Masala chai is a flavoured tea beverage made by brewing black tea with a mixture of aromatic Indian spices and herbs. 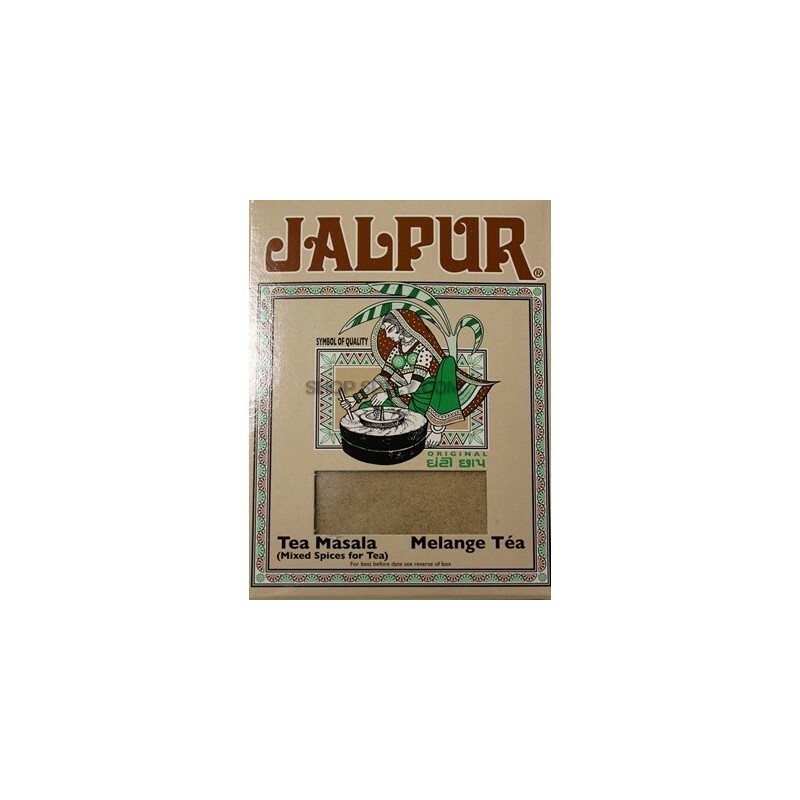 Jalpur Masala Tea provides a blend of spices to make a delicious cup of masala chai. Ingredients: Ginger, Cinnamon, Cardamom, Clove, Black Pepper, Nutmeg, White Pepper, Black Cardamoms. 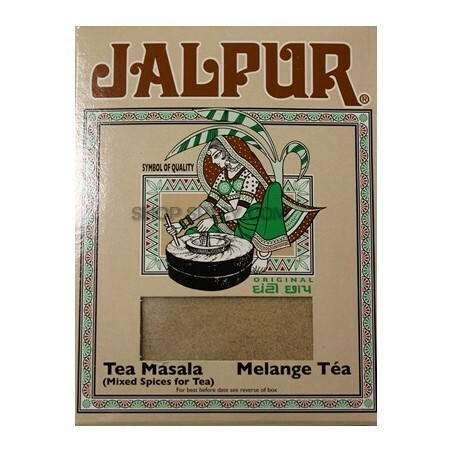 Directions for use: To make one cup of traditional Indian tea: Bring half a cup of water and half a cup of milk to the boil in a saucepan. Add one teaspoon of loose leaf tea and 1/4 teaspoon of tea masala. Let simmer for 4-5 minutes on a low heat, add sugar to taste and serve.